A certified organic tea. Superior quality and exceptionally well graded. 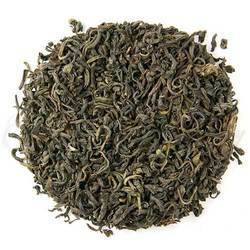 ( Peacock #1) Delicious green tea character with delightful fruity like early season flavor. Cup is bright emerald green. If one looks closely at the infused leaf you will see the fan of the peacock's tail feather.